Looking for a quick, easy and visually striking way in which to plan your month? 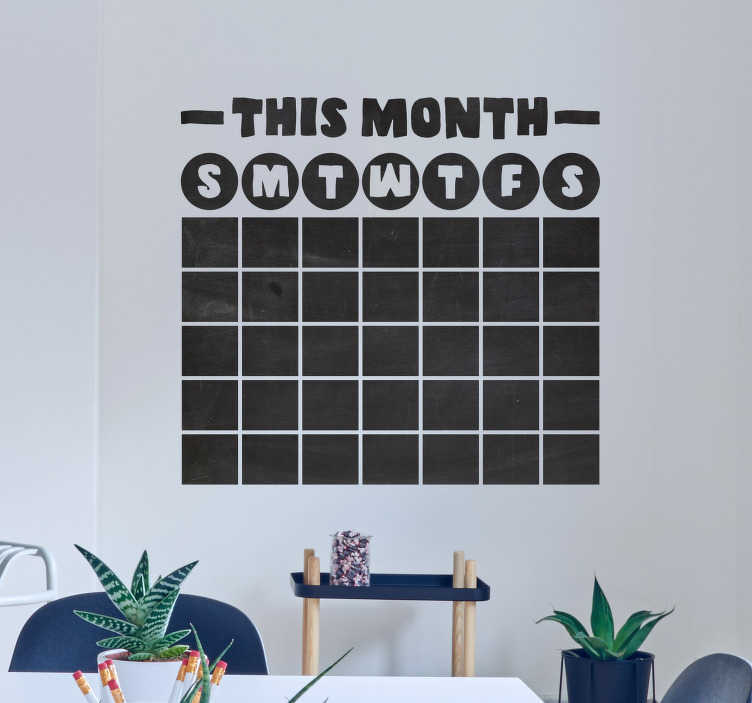 Look no further, because we at Tenstickers have put together a fantastic chalkboard decal in the format of a wonderful calendar! Can be customised with the relevant numbers and days, so that it is always set for the right month and never goes out of date! Save money on buying a calendar every year and make a one time purchase with a calendar sticker that lasts for over 10 years!